But I wanted to really push the Persil ProClean, so I did not give it nearly as much help as I normally would my regular detergent. 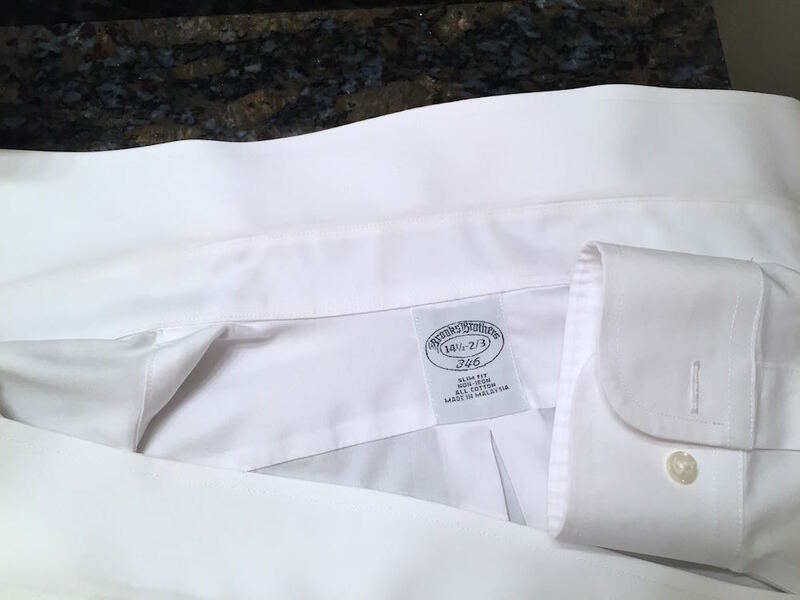 I chose to use only Persil ProClean products (so no other additives), and decided to experiment even further by pretreating the collar and cuffs of one shirt with some ProClean Original liquid, and washing the other without pretreating. I did not use warm water or a brush, just applied the liquid to dry fabric, pushed it in with my finger and let it sit for about 5 minutes. Overall, I am VERY impressed with the new Persil ProClean line! I will be posting a more thorough review once I’ve used it for a couple of weeks, however I already know that it’s a great detergent that can finally provide some real competition for Tide. The price points for the two detergents are similar: you can get a small, 20 load bottle of liquid for around $5, a 50 load bottle for around $10 and a large 96 load pump bottle for $18; Persil ProClean used to be sold only at Walmart, but can now be found at many retailers in the US and on Amazon. 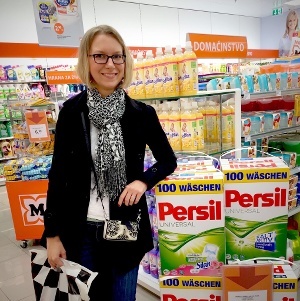 And now some notes for German Persil lovers on how Persil ProClean compares (you’ve probably already read my Persil vs Tide blog post): the scent is similar but not identical, and stronger than of the German detergent (and it airs out well, unlike Tide). All Persil ProClean formulas contain optical brighteners and the Power Pearls contain sodium percarbonate and TAED. The Pearls contain zeolytes. The formulas of the DE and US versions are not identical – fortunately the ProClean folks list the ingredients on the website so you can compare. It’s also a little more prone to sudsing, probably to accommodate the US top loader consumer who is used to seeing more froth during the wash. The Pearls come in a plastic bottle which I find very convenient (you can take out the pouring spout), however the measuring lines on the lid are impossible to read, so I measured the recommended amounts, and they indicate 3 Tbsp for a regular load and 5 Tbsp for a large/heavy load for both the Pearls and liquid – this corresponds to about how much German Persil I was using per load. PS – thanks to a tip from the comments, I’d like to add that Persil is only currently available in the US and not in Canada. Check out this blog post that announces the launch of Persil ProClean in Canada. Persil ProClean laundry detergent now available at Walmart! Hi Mike, on high end microfiber I’d use a very well rinsing natural detergent like Charlie’s Soap with an added oxygen bleach. Persil does not have any fabric softener added (those are actually incompatible with liquid detergent and “with softener” on the bottle is just marketing speak), but I worry you might have suds depending on your water. I was becoming unhappy with tide! Both my husband and my son developed rashes so I was looking for something new! I happened to read something about Percil and decided I’d try it. Wow! I tried it on my whites first and was soo pleased I have been using it ever since!!!! It is incredible! 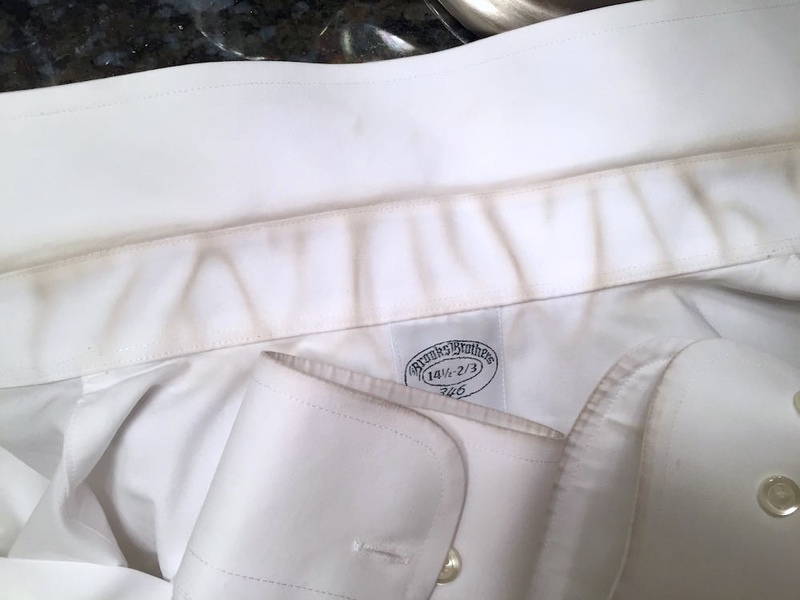 My whites sparkle and no deodorant stains! All my clothes look brighter and I feel like they r really clean! Thank Heaven for Percil! It’s not really an oxymoron. Anyone can become allergic or sensitized to anything, even something in a no-scent product, which is why no company can use the phrase “non-allergenic”…it’s just not a promise you could keep.But some proteins, additives and scent ingredients are more likely to provoke, and others very rarely provoke anyone, so if a product avoids the worst known offenders, or better yet choses from the latter category, it can use the term hypo-allergenic. Hypo just means “less” or “low”. Something can have no added scents, and even no particular natural scent at all, and still be highly allergenic or sensitivity provoking. It also has little to do with the strength of the scent per se. I have sensitivities to certain perfume ingredients, yet I can sit beside someone who has marinated in their perfume, even a cheap or obnoxious one, and not react (except the way any normal person might to that) yet another perfume, pleasant and moderately worn, will set me sneezing and coughing before the person is even in the room, before I even consciously smell it. Some people are sensitive to strong scents in themselves, of nearly any kind, so “low scent”, “fragrance free” and “no perfumes added” are normally separate marketing categories from hypo-allergenic and “sensitive”. You might want to specify that Persil is only available in the USA, because your claim that it was available at Walmart sent me on a wild goose chase. It turns out that Persil isn’t sold in Canada. Thanks Shalryn – I actually had no idea that it wasn’t available in Canada… I hope they expand to your country soon! Hi again Shalryn, guess what – Persil Canada just reached out to me to let me know that Persil ProClean is now available at Canadian retailers! They also send me a bottle of the Canadian exclusive Coldwater formula to test out as well as some coupons. Let me know if I can send you a coupon for a free bottle of Persil to make up for the inconvenience! Do you still have any of the Canadian persil coupons? I’m seriously considering trying this stuff out! Thanks for all of your informative reviews! Persil is now available in Canada. I bought it at NoFrills. I must say it is highly overated. I do not like it and will not waste my money on an overpriced product that doesn’t live up to it’s claims. I followed all instructions and stains did not come out of a white shirt. 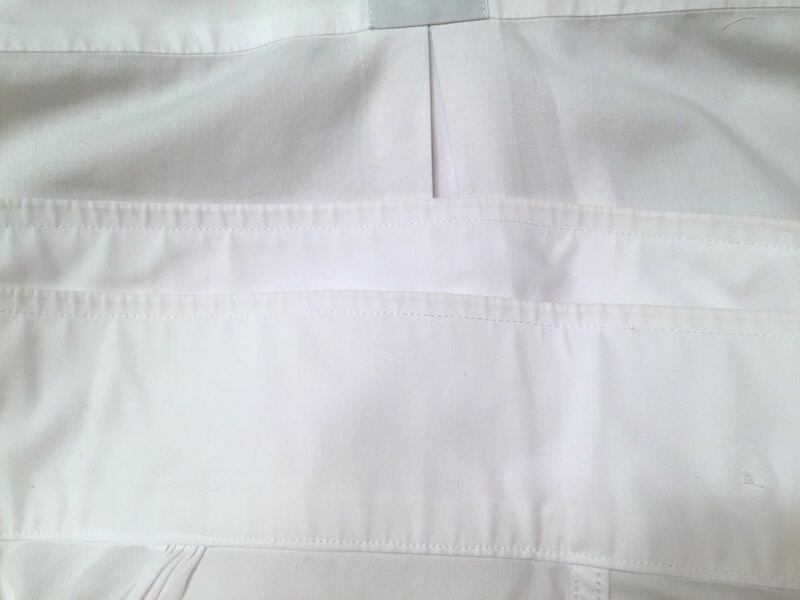 I rewashed said shirt in my usual, considerablely cheaper laundry product and voila… clean white and unstained. Rating Petsil at -10 here. I prefer the liquid because I’m not convinced our hard-water would adequately dissolve the powdered version. Thanks Steve – I know that very hard water can definitely be tricky. If liquids work well for you than why change anything! I realize the links are 18 months old, but they do not work now. I love it although I have never had the German version. My mom is a tide user for most of her life and I purchased her a bottle of Persil, she likes it better than tide! I buy the cheapest detergent normally, but I had coupons for Persil so I tried it and like it. Gotta have good coupons for it. I’m happy you and your mom have found a new favorite! It’s too bad the $3 coupon is no longer available – that was certainly a good one. I hope they release more high value ones soon. 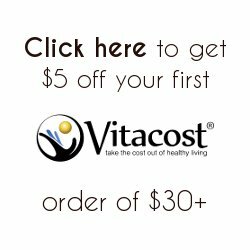 As of right now there are four $5 coupons for various types on Persil on coupons.com plus a $2 coupon off the medium sizes. Thank you so much for sharing, Tim! Added that to the post – glad that these are back. The $5 off of Pearls is an amazing deal, since there doesn’t seem to be a size specified. Cran, I’m an avid German Persil lover, but how can you accurately describe the cleaning power of the new US liquid when the bulk you only used it for pretreating and prewash? The main cleaning detergent was still megapearls Persil. 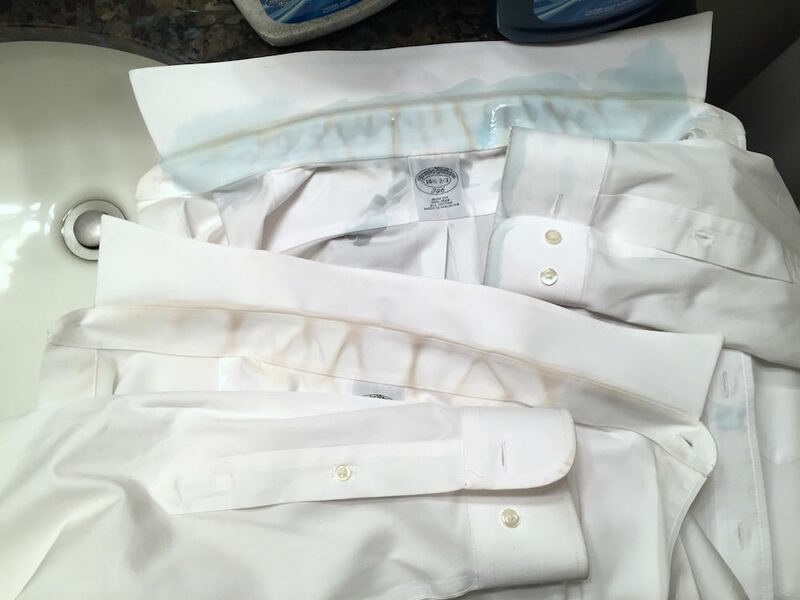 IMHO, the real test would be to have those same stinky dirty shirts washed, untreated, with normal amounts of US Persil…Once for liquid, once for powder (not combined into a single wash) Then compare each of these two results to German megapearls. Sorry, I should have said “when the bulk of the liquid was only used for pretreating and prewash. The main cleaning detergent was still a powder Persil’ (not megapearls). 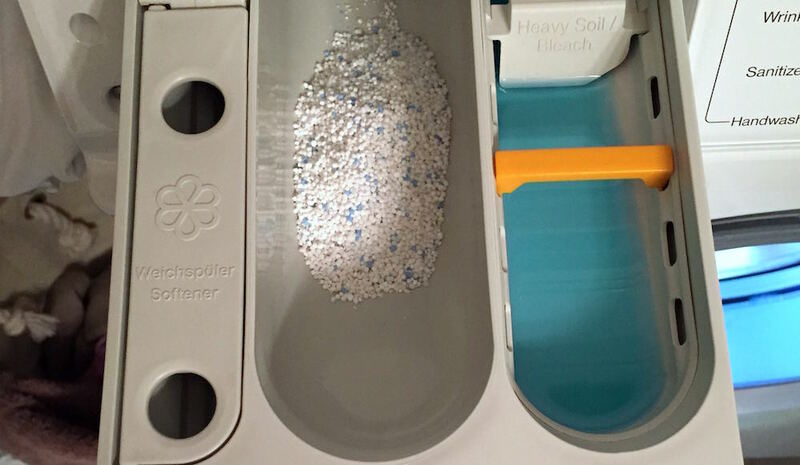 This is a “first impressions” post, that I wrote literally the day after I got the Persil ProClean samples, so I only had time for one load. I don’t use German liquid Persil, so I focused on the ProClean powder version for the main wash (with the Universal Megaperls as a baseline) and the liquid added in place of my regular laundry boosters/pretreaters. I plan to write a more detailed review of the two, but overall I’m unfortunately not a huge fan of the US liquid: in my machine it causes a lot of suds and the scent is way too strong. Then again, not having tried the German version I can’t really say if that’s a ProClean thing or a Persil liquid thing. I now only use the liquid for pretreating, which it is great at! My father was a diplomat, and for many years we lived in central Africa. During that time, I was able to learn a great deal about the half dozen wildly varied cultures we interacted with. We learned things about meat, poultry, uncommon cooking techniques, agriculture, and even cleanliness, which we never thought would have possible in a few of those countries, as the peoples of those nations were not terribly civilized, educated, or even hygienic. Or, so we thought. The specific area I’d like to mention here, is about laundry. Though we only lived in the larger cities, the locals had a surprising amount of customs still in use which were passed down from the indigenous and nomadic peoples of that area. Please prepare yourselves for what is to follow, as it is quite horrific sounding on the surface. In every single one of those cultures, despite many of them having little or no interaction with the others, one thing was consistent in all of them in regards to laundry….excrement! Yes, excrement. They used a paste made of animal urine and feces. In fact, animal urine found its way into many other aspects of their lives as well, including grooming! Obviously, my reaction to this was the same as yours will presumably be, repulsion. Urine was used as a hair styling product! We were convinced that the use of excrement for these things, laundry and grooming especially, was some sort of culturally-motivated mass hysteria which had no real benefit, like so many of the shocking practices in some of those heathen cultures which could only be called barbaric. However, our houseboy Joseph, knowing our very vocal opposition to these methods, chose to wash a very badly stained load of laundry with the excrement paste anyway, to teach us a lesson about the inefficiencies of prejudice. He was immediately punished, of course. Right or wrong, he had disobeyed us. Even though it ended up being surprisingly effective, you simply cannot let an infraction like that go unpunished, as it sets a bad example for the rest of them. We went easy on him, of course. Anyway, to make a rather long and somewhat troubling story shorter, he was able to remove several set-in stains from a few of our shirts as a result of this “ Uum Ffu Ffu” paste (I am fairly sure that was how it was spelled). We were beyond shocked, and immediately smelled the clothes, assuming there would be a foul stench. There was not. When I asked some of the white English immigrants about what he had done, they seemed surprised that we were so shocked by it, and claimed to have employed this paste for many years. However, they had no real explanation for the success of this method, saying something about “Natural acids and enzymes”, or something to that effect, but were unsure. So there you have it. A very shocking and bizarre method of removing stains, which I still use to this day. Finding the proper excrement, and balance, is trail-and-error, to say the least. I initially started by using my own bodies waste to emulate what Joseph had done, and the results were not even close to his, which led to several highly embarrassing social encounters. But after several years of experimentation, we’ve achieved a very similar result with a blend of cow, deer, and bison, which was a lot easier to obtain than we’d have assumed, mainly because of where we live now. I hope some of this was interesting to the readers. Never underestimate how overwhelmingly different the approach of a distant or ancient culture can be for our basic and common everyday problems, and how effective it may end up being, even by today’s standards. This post is for Tina Licker: I’m sorry but how dare you or your family PUNISH another humanbeing like an animal!!!!! Everyone’s cultures are different & though you may not agree w/ them you have no right to put them down or judge them!! You were in HIS country & that’s the way things are done there. If you didn’t (don’t) like it, then do your own laundry!! I ran across this post a few minutes ago. I have been using the Persil ProClean since it arrived at Wal-Mart. I use to use the German Persil but got tired of ordering on line so i was very happy to see the US Intro at Wal-Mart. I bought both the liquid and the powder pearls. Love the scent of both! I have recently reduced my towel loads to 4 bath towels and assorted small towels to try to reduce stiffness of towels from previously cramming as many towels in the front loading washer as i could! I use approx 3 TBS of liquid proclean ( and 1/2 cup vinegar) and both times i tried it i ended up with enormous amount of suds and had to rewash loads twice more. Do you think 3 TBS is too much for what i would call a medium load of laundry? I am thinking pershaps i should switch to the pearls for my towel loads. Am I right in assuming that you have a standard size front loader? If that is the case you could certainly try going down (I’d go down to as little as 1Tbsp and see if you get good results with that…), since 3Tbsp is pretty much the dosage for a full load, and 4 towels is what, probably about1/2-3/4 of a full load in a 4-5 cu.ft. machine? And towels really don’t get all that dirty! But at the same time I have to say that for me the ProClean liquids give off a lot of suds even with regular loads, and towels end up needing several extra rinses… So if your water chemistry is anything like mine, you might still get suds even with 1Tbsp. You could also give the pearls a try, but I personally very much prefer liquids for towels, since they leave them much softer. What I’ve been doing recently is running a prewash with a tiny bit of Oxyclean Free (usually 1-2 tsp, but I have a compact size machine – you could definitely use the pearls for that) and running the main wash with a small dose of liquid detergent (I’ve been using Caldrea, but you could experiment with a bit of the Persil liquid to see at what point you stop getting excess suds). I feel that the powder takes care of any “serious” grime that might be on there, and the liquid washes out all of the remaining powder and leaves you with soft towels as a result. In any case I’d love to hear how your laundry experiments end up going! I have used both the pearls and sensitive liquid. I have HE front load washer. I use 1tbsp only. I do not use the liquid dispenser because the pearls did not completely dissolve. I found the clothing brighter, cleaner, softer, and unwrinkled. The scent disappears. If I use more detergent, the washed items seem a little “slimy.” Cold water results same as hot. I also did 20 loads at my daughter’s house. Her well water is high in minerals but the laundry came out much the same at my house that has softened water. Long time Tide user; tried Method, Bio-Kleen, etc, however prefer Tide overall. That is until now. I am a Persil fan. Thank you for sharing Claire, I’m glad you’re getting good results and have found a new favorite! How did you like the scent of the Sensitive liquid? I haven’t tried that one. The fragrance is mild and pretty much airs out. The original scent is also mild though it remains more than the fragrance free liquid. Wonderful news is that I no longer use any softening products. The inky laundry that requires slight static elimination are synthetic throw blankets. After several months I am still using only Persil. I narrowed my choices to only two products: ProClean Power-Pearls Original Scent and ProClean Power-Liquid Sensitive Skin. I use the Pearls for all loads. If there is stained laundry, I use the Liquid. The Pearls and Liquid deliver a very clean and fresh smelling finish that does not linger. I use about half the recommend amount. I wash most loads in cold water. The Liquid is the best stain/oily spot remover. I use about a quarter of the recommended amount. Otherwise, there is too much sudsizing and I spend time running extra drain/rinsing cycles. It even removes red stains including blood. If it doesn’t quite remove it the first time, very seldom, I pour a small amount directly on the spot and then wash. I tried all the products. I didn’t care for the leftover scent in any of the other versions and think they are less effective in cleaning the laundry. Even though the other products are lower priced, the economy is missing if I have to wash twice for best results. In this case, I decided the slightly higher costs of ProClean line are worth the price. Thanks so much for the update, Claire! I actually haven’t tried the Persil Sensitive yet, but I’m really happy you’ve found a combo that works for you. 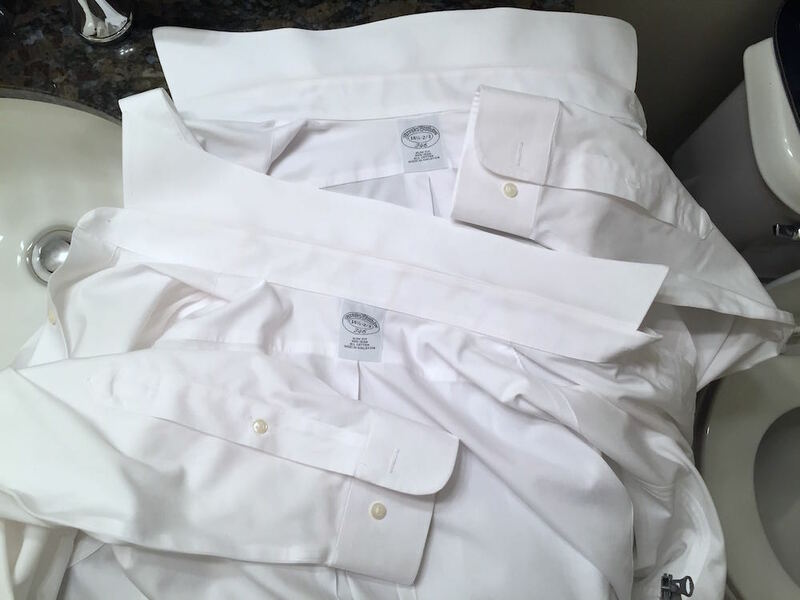 The liquids really are great as a pretreater, even without scrubbing – I could tell a noticeable difference in the shirt collar that I pretreated with a touch of liquid. I was pleased to hear the Persil dispenser is going. I long ago tossed that pouring spout. Too messy. I just picked up the pro clean. I have been buying the German version from Amazon previously. Was using the blue for colors and green liquid for whites. I also bought the antibacterial rinse as well. I use that especially with sheets and towels, since they are colored and wash them in cold temp. But, what bothered me were the scent was different for the antibacterial rinse so it can get overpowering when used together. Anyway my big question is do you use fabric softener at all? If so what? If not why? I pretty much hang most clothes since they all tend to shrink In the dryer. Hi Todd, I agree that the rinse is quite strongly scented and see how that can clash… The Miele Care line is less strongly scented than German Persil, so that might be an option! As for fabric softener, I use a little bit of Vernel Sensitive in most loads of clothing, about 1/2 to 1/3 of their recommended lowest dosage and more for sheets and dress shirts/pants that need ironing. I never use softener for towels or microfiber cloths and athletic gear though! That can affect absorbency and performance of high tech wicking fabrics. The Vernel doesn’t leave behind much scent unless I use 1/2 cap, and I haven’t had any mold issues either. It’s very liquid (not thick like Downy etc. ), and I add some water to make sure it washes out of the softener compartment fully. I’ve bought this past Friday a container of Persil powder at Walmart, used it that day and then returned it the following day. It is not anything like the product sold in Germany. The fact that it is designed to work for both a top loader and a front loader presents problems. Using the same amount in my Miele as I do with regular Persil, I had an incredible amount of suds in the machine. After two 15-minute rinse cycles there was still soap in the drum. The clothes did not smell fresh once out of the washer nor did they have a lingering freshness once dried on the line. I was assured it’s the same product selling in Germany but if you go to the site and check out the question you will discover the answer is evasive. In short, it is not. It’s a detergent formulated for the American market. I have used Persil Universal as well as other Persil products for many years now. Love the line, but don’t love the Walmart version nor the ColdZyme powder version selling on Amazon. Latter has such a strong smell it fills a room (not a good thing). Perhaps for those who have never experienced the original Persil, this newcomer is better than some of the domestic washing powders. But it does not come anywhere near the original product available to people other than the US. Hi Brenda, are you having this issue with the liquid or powder? And are you using hot water and adding bleach? Also, have you been using sunscreen or products with benzoyl peroxide recently? There is definitely nothing in the detergent that would cause yellowing, so my first thought was sunscreen. Sunscreen can cause difficult to remove yellow/orange stains on clothes. Another issue could be bleach+hard water, however if that was the case you probably would have experienced the same stains before you switched to Persil. Why does the liquid ProClean have such a strange after- smell? For this reason I’m going back to my former preference. Jean, you are not alone: some people are reporting this while others are getting great results. Could be something in the water chemistry perhaps? I honestly do not know, but it’s a shame that you were one of the unlucky ones. I have been using persil for a few months now. Like the product and the smell it leaves in my closet. But when I use a wash cloth on my face and hang it on the rack to dry it smells terrible until it is completely dry same with the dish cloth. I first thought my cat had peed on it as that is exactly what it smells like. I have a lot Left and is to expensive to throw away. I do not use soap to wash my face. Peggy, so sorry I missed your comment! It seems that you are one of those unlucky people who get that with US Persil… I have read a lot of comments, and it seems that some have good luck with it while others have that terrible scent that you describe. I think it must have something to do with water chemistry… Please make sure you let the company know and return the product if you’re unsatisfied!! Hey Olga, long time user of German Persil up here in Canada. It used to be very hard to find here… only in smaller specialty appliance shops that carry Miele, as they are the Canadian distributor of Persil. There are a few “European-style” supermarkets that carry it around my area now, so I can buy the 44-load box of megaperls for $32. I love this detergent, and it loves my German-made Kitchenaid front load machine. Unfortunately Wal-Mart Canada isn’t carrying the U.S. version, but considering it’s different, I’m not really interested in it. One thing I am curious about is a product they carry here which is called Persil Universal (no megaperls) and comes in a 65-load box for $39. It seems like a much better value, but that makes me suspicious of it. Any idea what it is? It also says made in Germany, just like the megaperls. So the German Persil Universal is most likely the powder version. 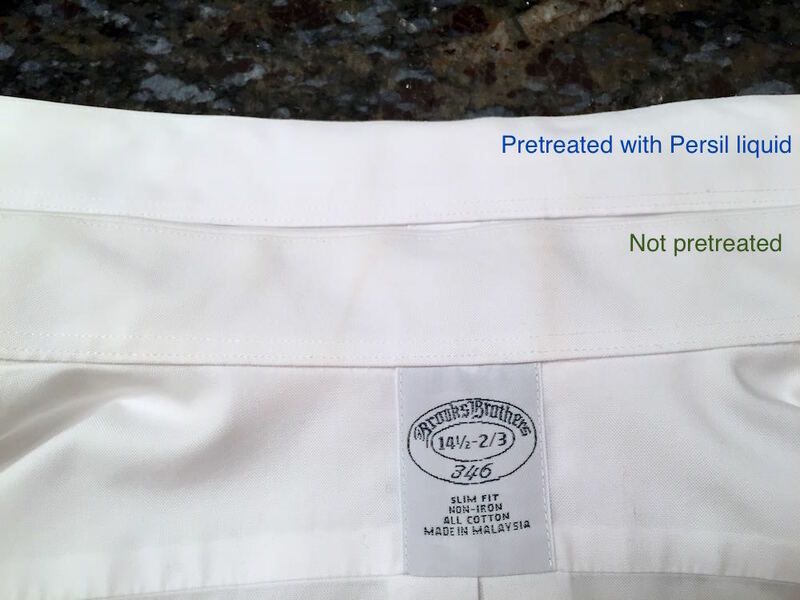 Does it look like this: http://www.persil.de/de/produkte/persil-universal/persil-universal-pulver.html? I have not personally tried it (prefer the Megaperls “format” since it gives off less dust), but I’ve read that it’s as good as the Megaperls. And like all European Persils, it’s great for HE front loaders, so no worries about suds or other damage to your machine. I tried Persil on my nieces shirts and sock because as you know how children are. We ate spaghetti for dinner and of course the sauce got into their shirts. I did the pretreatment and let it sit before putting it in the wash. Needless to say it didn’t remove the stains. What should I in the instance? Hmm, what color is the fabric and is it cotton? Are these leftover tomato stains, or oul? Did you run the clothes through the dryer? Let’s brainstorm what can be done to get the clothes clean again. I have been using Persil for about a month and love it. This week end I went for a hike and literally fell into a briar patch. I cut my arm up and got blood on the sleeve of my t-shirt. Didn’t get to the wash until today and the stains all came out despite forgetting to pretreat. Think I will keep using this product. Thanks so much for the comment, Pam! So happy you’re having great results with Persil. That’s some tough stains you’re throwing at it! I love the detergent. My problem the leak around the spout that mess up my floor. There fore I have to sit the container up each time I use it. It’s heavy to have to lift each time and layover to use each time. Oh no, that sounds annoying! Is it one of those giant bottles, or just a regular jug like the small/medium size? Here’s a strange reason I tried Persil for the first time today. I just noticed commercials for it here in Canada and I found it in the grocery store today. I have been reading the Tinker Tailor Soldier Spy trilogy from John Le Carre (for about the 4th time). In it the Brithish spies refer to someone they are watching as “Persil clean” meaning they were probably not a Soviet spy. So there you have it! What a thorough test you gave it! Good information. Hi from Canada: I used Persil in Singapore many, many years ago. Now that it is available in Canada I am delighted to use it but I have been adding Resolve crystals to my Tide for sometime. I use both whitening and colour fast crystals. Is it okay to add these products to Persil Proclean? I also have trouble seeing the lines on the dispenser. Any ideas? Thank you. Hi Zoe! I had to google Resolve crystals, I don’t believe that we have them in the US, but they look to be quite similar to OxiClean and especially to Vanish. That is absolutely fine to add to your Persil – in fact, the liquids don’t have any added oxygen brightener, so the Resolve will keep your whites nice and bright! The Persil Pearls share most of the ingredients that Resolve has, so if you’re using those you might look into adjusting your dosage (i.e. using less Pearls to compensate for the added Resolve). As for the lines, I have to agree that they are quite difficult to see! You could trace a line with a permanent marker on the outside of the cap – that might make it a little easier. My daughter washed my t shirt in Presil proclean 2 in 1. When i put the T shirt on my back began to itch badey. Could the itch be caused by the Persil? Hi, I just bought a new “Top Load HE Maytag” washing machine…which I love. I started using Persil before by old machine was “toast”….everything I read says it is compatible with HE machines….any opinion? I really hate to stop using it but to save my new machine I will. Hi Lori, Persil is definitely HE compatible, so you can safely use it in your new machine! Hope you love the new appliance. Do you know what the “2” in the 2 in 1 is? I’m trying to figure out laundry in a new house with super hard water and an HE machine but I can’t figure out which to try. Regular Persil with a water softener? 2 in 1? I don’t have staining problems but everything STINKS!!! I’ve used Tide Ultra powder for years but it doesn’t seem to be doing the job. Any help would be appreciated! So the 2 components are Persil detergent and “Pro-Lift Technology”, which basically means a higher concentration of cleaning ingredients. Well the washer smells to begin with – musty – and I’ve cleaned it with bleach cycles, washer cleaner from tide, oxyclean, vinegar etc. Still wiffy, I’m guessing it wasn’t properly cared for by the previous tenants. Whole house is probably not practical as we rent and only expect to be here for two years. The clothes still stink like they aren’t coming clean. This is my first experience with a front load HE washer and it just doesn’t get the clothes clean. They stink like whatever they did before they went in only slightly less. On some of my shirts I can still smell perfume and you don’t want to talk about my husband’s workout clothes. Nothing EVER smelled before. The only differences are the HE washer instead of my old top loader and the harder water. But what to do? Hi Thia, okay, yikes… It seems that you’ve covered all the basics, but let me just confirm – do you keep the washer door open when it’s not in use? And do you regularly run hot water cycles? Also, how much Tide powder are you using? 4. Buy some Charlie’s Booster if you are okay with using phosphates in your laundry. If not, you might want to try Borax instead. 5. Continue using powder detergent with the Booster, and the hottest water your fabric will allow. I’m going to guess it’s caused by leaving the washer lid closed when not in use. Front loaders are particularly affected by this, but maybe top loaders are susceptible as well. The water and residue kinda ferment. Run a washing machine cleaner or just a cup of vinegar with no detergent through a cycle once a month should help as well. Use hot water when doing that. How does one get the last bit out of a bottle of Persil? There’s about a quarter cup left that won’t drain out. I have to use a knife to poke a hole to get this past bit out. Hi Diane, just pull out the pour spout! I also am having trouble with the smell. Read somewhere that it may be the mix of fabric softener and Persil. Brand new Samsung HE front load machine and so sad this detergent isn’t working out for us. The Persil is awesome for removing stains but the after put in closet and drawers smell is awful. Sort of a musty, workout sweaty clothes smell. I am right now trying a non-fragrance fabric softener for the second time. I am trying All this time tried Downy before didn’t seem to soften very well. 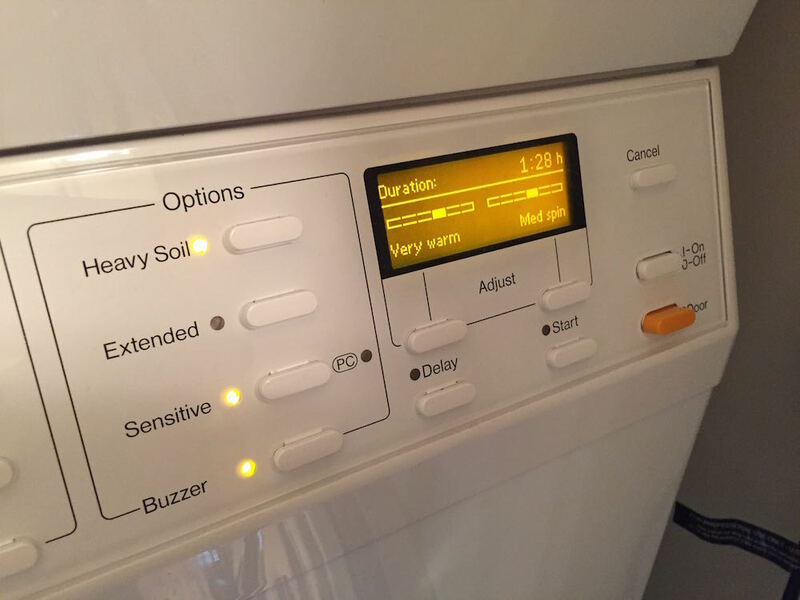 My washer is clean, I am using the correct amount of detergent, I have a water softener, I have tried vinegar as softener, and nothing seems to help. I would love a solution as I really am pleased with never having to pretreat clothes! Would Borax help with softening clothes is that what you mean? Help!! Oh no, sorry that’s happening to you. Have you considered not using fabric softener for a couple of loads and seeing if the smell goes away? I am curious about how much Persil liquid should be used for a load of laundry. The 40 oz. bottle indicates it will do 25 loads – which would be about 1.6 oz. per load. But the 150 oz. bottle seems to have two different label guides. Some bottles are labeled 75 loads (which would be 2 oz.) and some are labeled 96 loads (which would be 1.562 oz.). It isn’t very reassuring that these folks don’t seem to be able to get the math on their labels correct. Different types of Persia have different dosage instructions, and they are consistent between sizes. So Original liquid has 25 loads to a 40 oz bottle and 96 loads to 150 oz. The 2in1 liquid is dosed higher and there are 20 loads to a 40 oz bottle and 75 loads to a 150 oz one. Just different products, no issue on the manufacturer’s side!